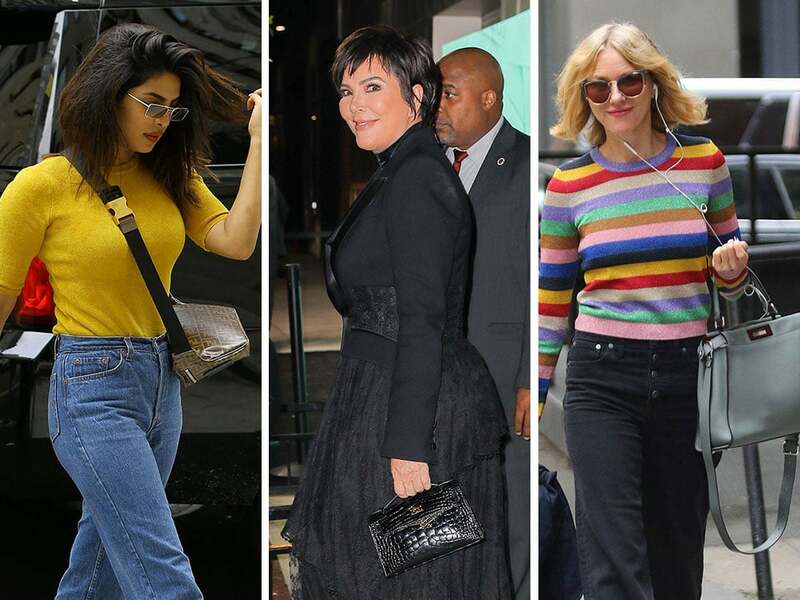 The Fashion Weeks are over, and celebs have returned to doing their usual thing. But if you missed the bags that graced Fendi's Spring 2019 runway, now's a great time to take an in-depth look. I suspect we'll be seeing many of those bags on celeb arms in the very near future. Fendi bags made a strong showing last week, as they have overall so far this season (and last season, come to think of it). 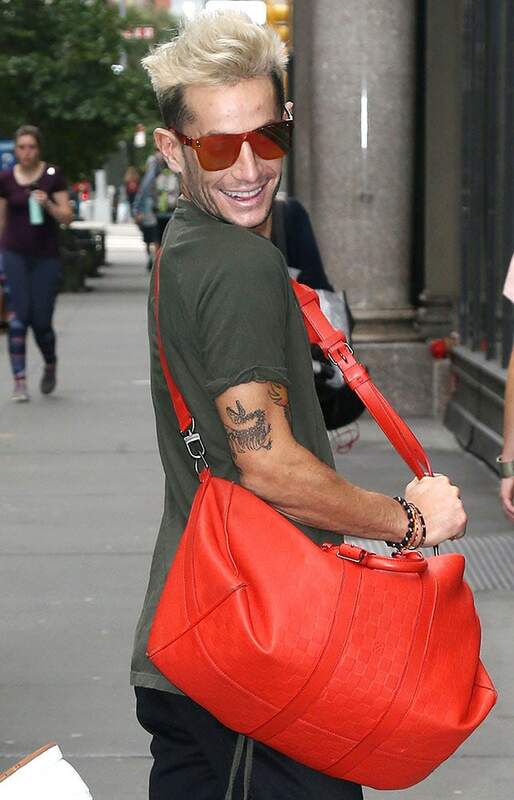 First, we'll take a minute to admire Frankie Grande's neon orange (or red? depending on the light?) version of the Louis Vuitton Keepall Bag. It's a man bag for our times. Gigi Hadid carried this aptly named Prada Monkey Bag while she did a little shopping at the Astro Gallery of Gems in NYC. Here are models Josephine Skriver and Jordan Barrett, walking the event carpet together at Tiffany's Blue Book Collection launch party in NYC. Josephine is carrying a studded Saint Laurent Clutch. Here's Kris Jenner, ducking out of that same Tiffany & Co. event with an exotic black Hermès Kelly Pochette. Kim was also there. Lucy Hale was spotted carrying this luxe, new neutral leather Chanel Flap with black trim while grabbing a coffee. Naomi Watts' pale gray Fendi Peekaboo Bag really pops with her rainbow sweater. Here's Priyanka Chopra, on her way back to her NYC apartment with her Fendi Fanny Pack. Priyanka has really been feeling the Fendi this year. Finally, here's Thandie Newton, heading into the AOL Build Series with a colorful Fendi Peekaboo Bag.